Tata Motors is now offering a wide range of dual tone paint schemes for its top selling SUV – the sub-4 meter Nexon. The dual tone paint schemes are only available on the XZ+ and XZA+ trims, which happen to be the top-end trims that the compact SUV is offered with. The colours that are available with a dual tone paint scheme are as follows: Moroccan Blue, Calgary White, Etna Orange, Vermont Red and Glasgow Grey. There are two roof paint schemes on offer: Ivory White and Sonic Silver. The Sonic Silver coloured contrast roof is offered with Moroccan Blue, Calgary White, Etna Orange and Vermont Red colours while the Ivory White coloured contrast roof is offered with Moroccan Blue, Etna Orange, Vermont Red and Glasgow Grey. The Nexon’s top end trim is available with two engine options: a 1.2 liter-3 cylinder turbocharged petrol with 108 Bhp-170 Nm, and a 1.5 liter-4 cylinder turbocharged diesel with 108 Bhp-260 Nm. There are two gearbox options on offer: a 6 speed manual and a 6 speed AMT. The Nexon gets a front wheel drive layout as standard across all variants. The compact SUV gets an impressive ground clearance of 210 mm which means that it can clear almost all obstacles on Indian roads without any issue. The SUV gets multiple driving modes: City, Sport and Economy, which varies throttle response and gear shift response (in case of the AMT variant). The Nexon has been bringing in sales of 4,000-5,000 units for Tata Motors each month, and this has also made it India’s second best selling sub-4 meter compact SUV, behind the Maruti Brezza. The Nexon is also the first affordable car in India to get a 5 star crash test rating from Global NCAP. The heavy build of the car seems to be helping it on the safety front, and the doors of the car shut with a gratifying thud rather than a thunk. All in all, the Nexon feels a very solidly built car, and a lot of buyers are opting for it for this very reason. As for standard safety features, the SUV gets twin airbags, ABS and EBD, seat belt reminder and parking sensors. Higher variants add a reverse parking camera into the equation. The Tata Nexon’s good run begun almost immediately after launch thanks to the brilliant price at which this compact SUV was launched. At launch in September 2017, the Nexon stunned the market with a starting price of Rs. 5.9 lakhs. Prices have steadily increased over the past couple of years, with the Nexon now starting at Rs. 6.58 lakhs, ex-showroom Delhi. Despite the price increase, the Nexon remains a very affordable compact SUV, and the best priced vehicle in its segment. This is a reason for the steady increase in this vehicle’s sales. 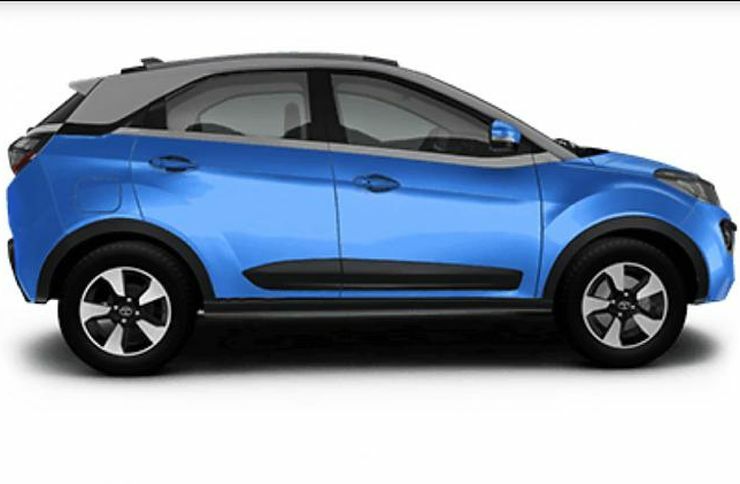 Tata Motors is developing a high performance JTP version of the Nexon, which is likely to be launched sometime in 2020.